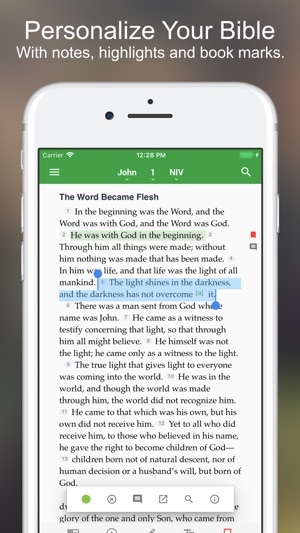 The One Bible app features dozens of free Bible versions for you to read, study and, compare. Navigate by book, topic, passage, search and more. 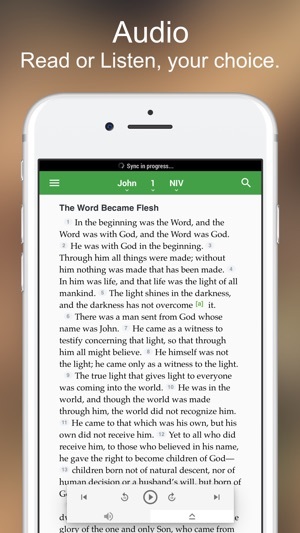 Let the Bible be read aloud to you with the Audio feature. 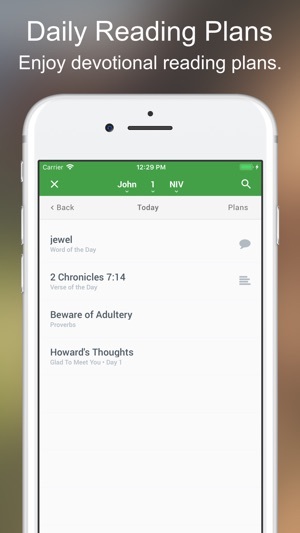 Grow in your spiritual walk with the best-in-class Bible app available. New name! We are excited to give you an improved Bible app called One Bible! This app consolidates the family of Just1Word Bible apps so that we can continue our mission of sharing the Word with the world. 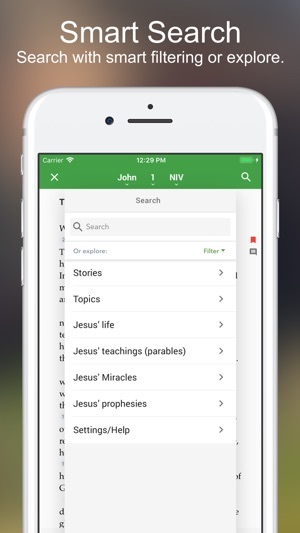 This app will replace the previously available Just1Word Bible apps. Along with this update we also fixed some bugs, and made performance improvements. I love this app!!!!! I like how there are different colors of highlighters and underlines. I like the little extra things in this app such as the daily bible verses and lists of each chapter in a specific book. This app is very helpful. If you want to write a note you can do that in this app too. It’s all in one place very organized and neat. Only thing I don’t love is the new update. I don’t like that whenever I get on the app after already being on it it has to reload which is irritating, however it doesn’t take very long to do so. I hope you get this app!! I recommend it 110%!! This app works well. I especially like the buttons used to select the chapter and verse as opposed to the more common scroll device. It's faster and easier to tap only twice for the 20th chapter and the 30th verse rather than scrolling from one in each case. One small annoyance: when the app asked me to write a review I was actually in a Bible class at church so I selected "remind me later." Then the reminder came up EVERY time I wanted to look up another passage. That's a little needy and overly persistent if you ask me. Coming from anther Bible App, I thought I would give this a run. I find this app missing a few features. I love the Audible feature. However the library is missing some needed tools. For example I prefer the Life Application NIV & the KJV WITH Strong’s built in. My current app Olivetree has an extensive library and each book has links which take you to notes, comments and Strong’s dictionary. However the books and bibles are also twice as expensive. After some us I’ve decided to stay with Olivetree app. If you’re a casual Sunday attender. This app is great for you.